KAMPALA – Bank of Uganda officials have on Thursday been sent away from parliament after two officials on the team failed to produce evidence of inventory reports on the closed commercial banks. The two including former executive director for Supervision Justine Bagyenda and Mr Benedict Ssekabira, the director of Financial Markets Development Coordination, were grilled on how the value of assets of three closed commercial banks was reduced from Shs117b to Shs98b after the Central Bank took over the liquidation. 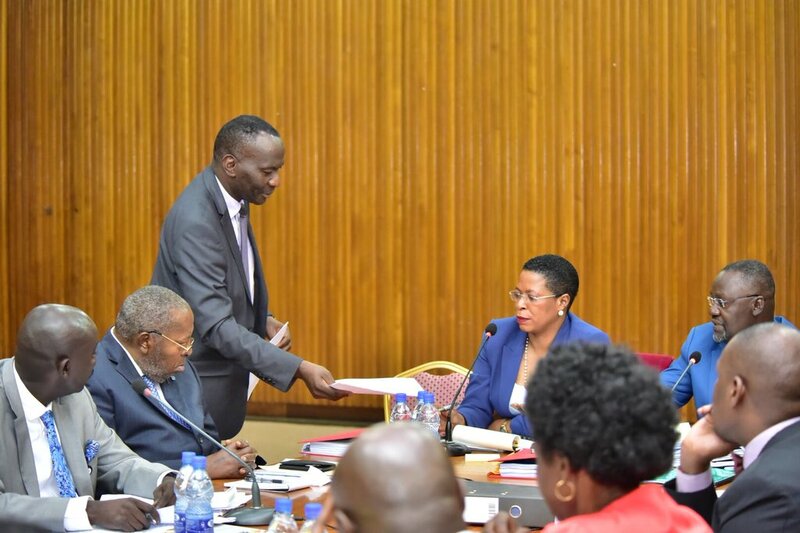 Cosase Chairman Abdu Katuntu decided to throw them out after both failed to present evidence of submission of reports and appointment letters for Mr. Sekabira as demanded by Committee vice chairperson Anita Among. “We need to find out whether the documents are being withheld…,” he said, directing the current Executive Director for Supervision Mr Manzi Twinemanzi to produce all the files that were handed over by Bagyenda on including Greenland Bank files. “I don’t think these meetings will be useful for us to proceed without these reports,” said Katuntu. Governor Emmanuel Tumusiime-Mutebile on Tuesday blamed Mr Ssekabira, the director of Financial Markets and Mr Katimbo Mugwanya, a BoU official, who had told MPs that they filed liquidation reports about the three banks for the missing reports. The others are, senior bank officials, Timothy Sekirayi, Grace Ndyareeba, Margaret Kasule, Titus Mulindwa, William Kasozi and Justine Bagyenda who has since retired from the central bank under a cloud. The MPs’ inquiry is also focusing on the mismanagement of closed banks by BoU after the Auditor General Mr John Muwanga issued a stinging criticism of the central bank in a special audit that cited massive flaws in the closure of Teefe Bank (1993), International Credit Bank Ltd (1998), Greenland Bank (1999), The Co-operative Bank (1999), National Bank of Commerce (2012), Global Trust Bank (2014) and the sale of Crane Bank Ltd (CBL) to dfcu (2016). All the former directors of the above closed banks will also be cross-examined by the committee.